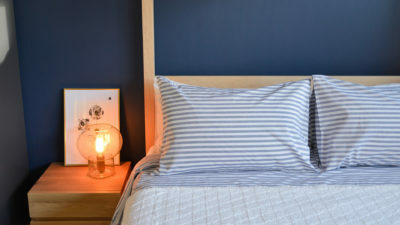 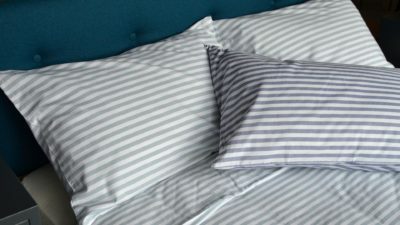 Along with the obvious changing of your duvet from thick and heavy to light and breathable, a change of bedding is important. 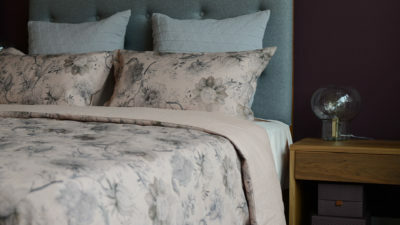 Summer bedding can not only be more lightweight and breathable to help keep you cool in the warmer nights, but the brighter and lighter colours give your room a light and fresh feeling to help pull you out of your winter blues! 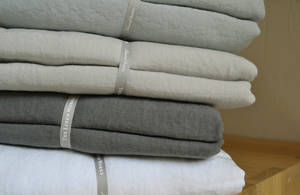 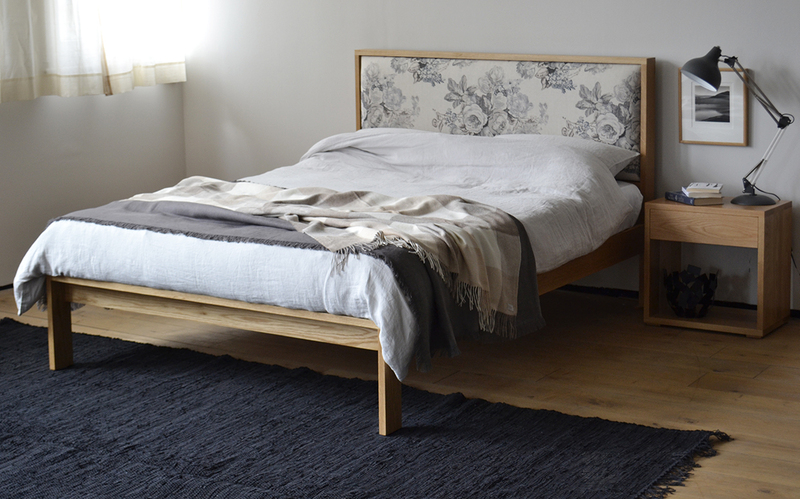 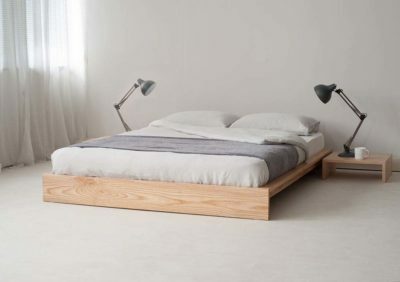 The Linen bedding is a classic for the warmer months; its natural fibres are both hypoallergenic and anti-bacterial. 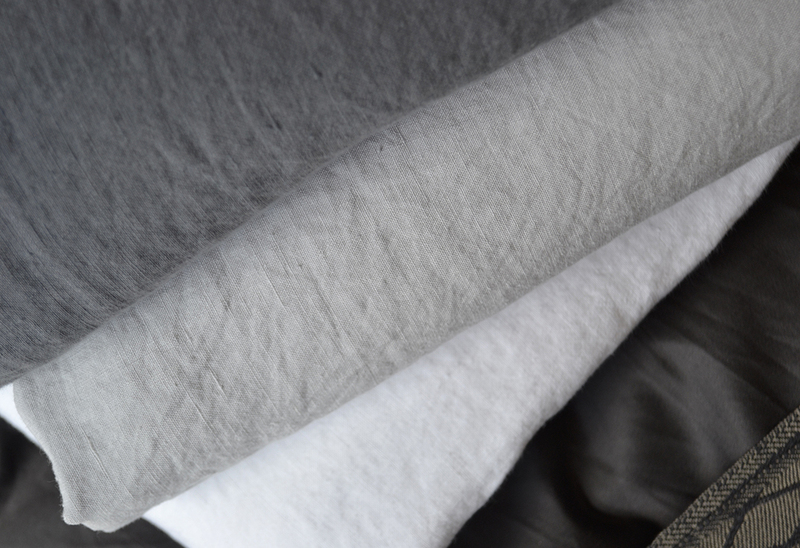 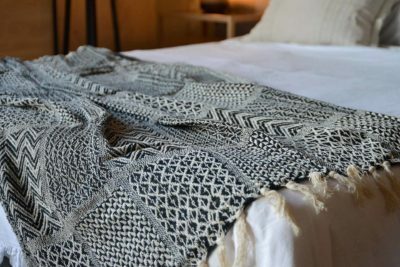 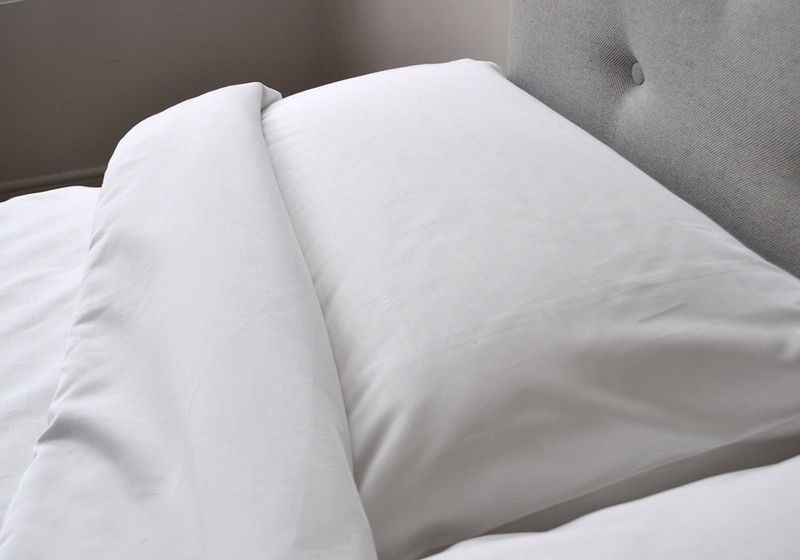 Made from European Flax, linen bedding has natural heat-regulating qualities which make it feel pleasantly cool on a hot day and warm in cooler weather – what more could you want? 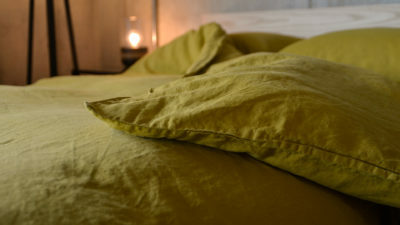 Lets face it, we’re still in the UK so the occaisional cool night throughout summer is always expected! 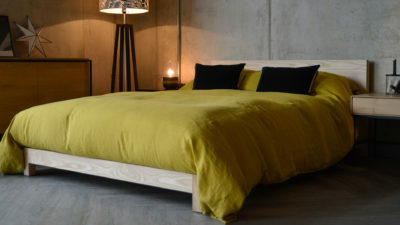 For a Modern Twist on this classic, we love the Chartuese Pure Linen bedding which is a warm, rich and citrusy yellow/green shade. 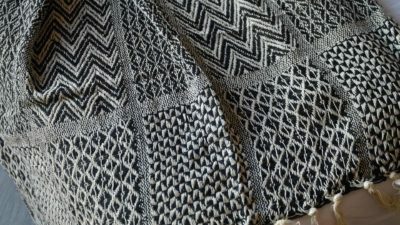 Looking for a more a bit more pattern? 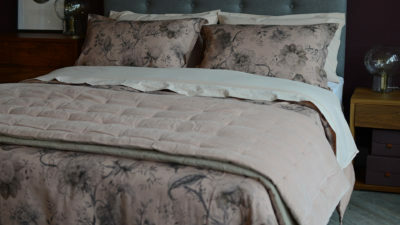 See the Vintage Print Linen Blend bedding, a delicate floral print, over-dyed and washed for a vintage look. 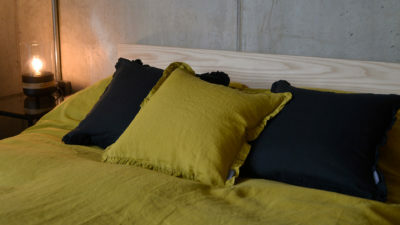 Now is the perfect time of year to introduce a splash of colour into our spaces. 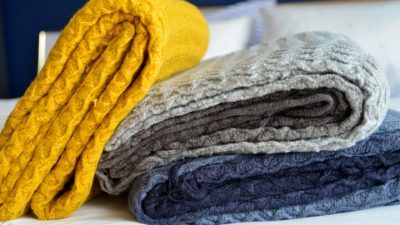 Of course, we will always love a clean neutral décor, but with the right combination of colours, you can add extra personality to your space. 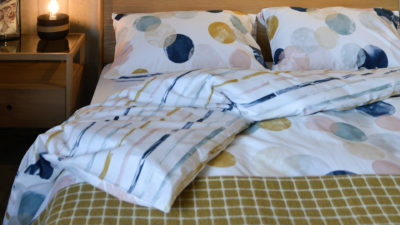 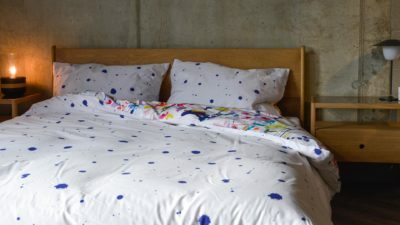 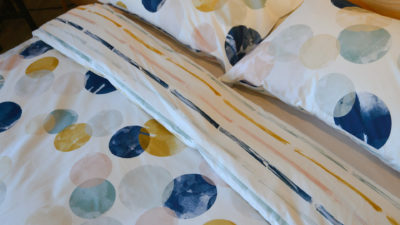 We are currently loving the Modern Reversible Watercolour Pattern Duvet Set – this set has a contemporary reversible pattern with a fresh, bold, painted stripe pattern to one side and over-sized dots on the reverse. 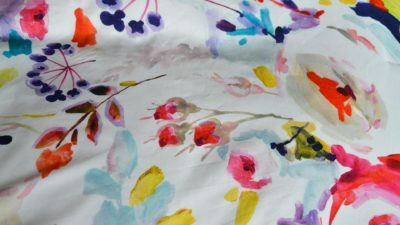 The prints appear to be hand painted in watercolours, which adds extra texture and varying hues. 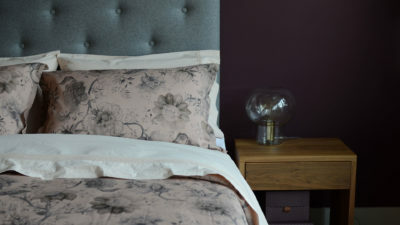 We love the combination of subtle, muted colours with simple, modern patterns. 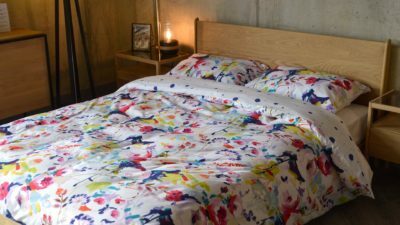 If you’re into a brighter and bolder look, check out the Modern Reversible Painted Flowers Duvet set – One side has large, bright, overlapping flowers and leaves in a range of vibrant colours: including indigo, lime, hot pink and aqua – over an ivory background. 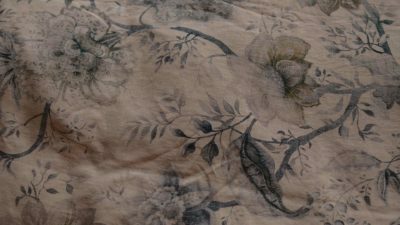 The reverse has a painted ‘splatter’ pattern in indigo on ivory. 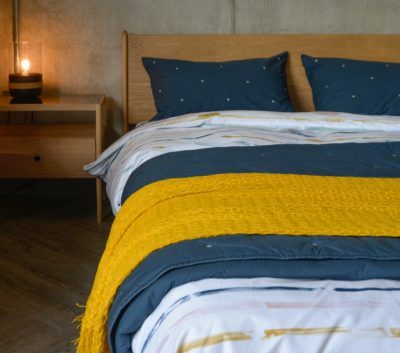 Both of these sets have two stylish contrasting looks for the price of one – so you can switch up your bedroom look throughout the year! 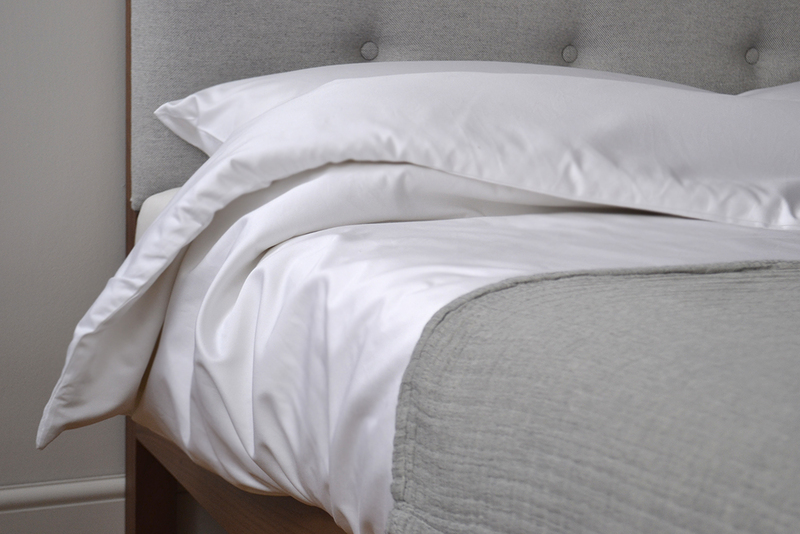 If you’re after a more classic design that you can use season after season and will never go out of style, you can’t go wrong with fresh white pure cotton bedding. 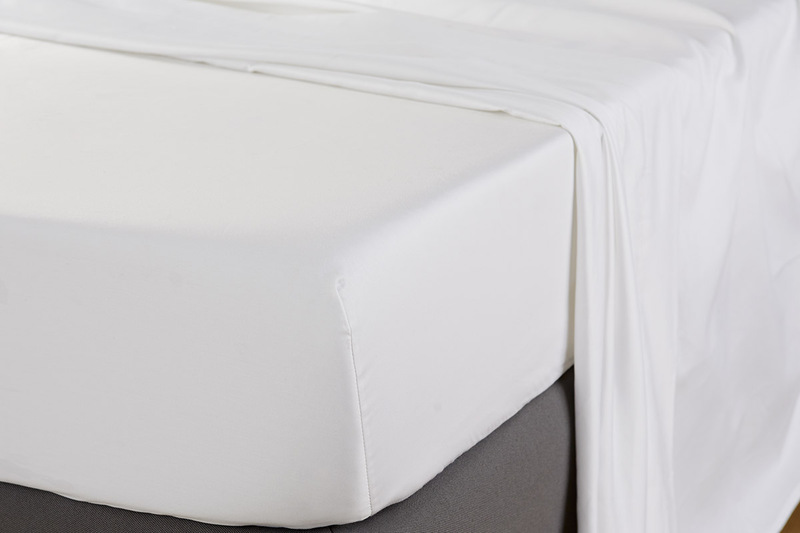 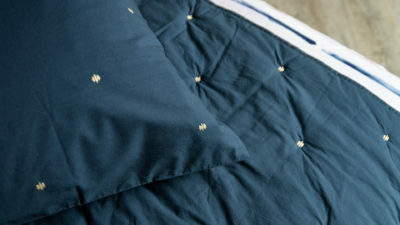 See the 600 Thread Count Cotton bedding for a smooth rich feeling cotton. 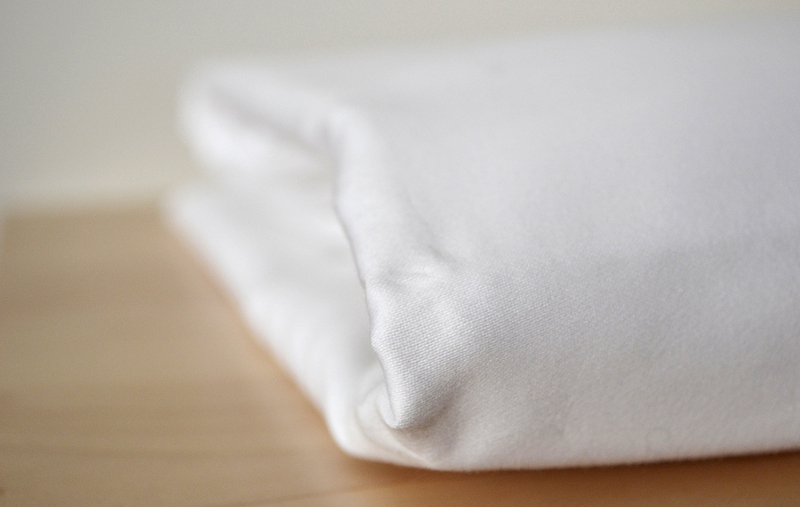 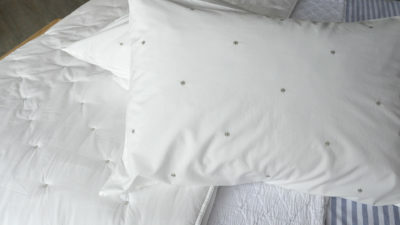 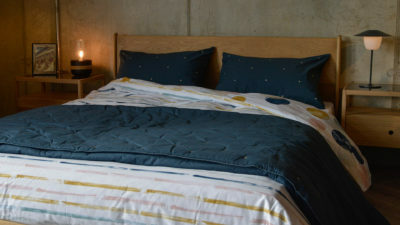 Or the 1000 Thread Count Cotton bedding for a soft and almost silky feel! 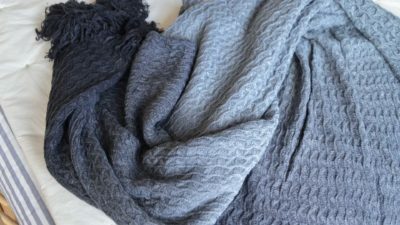 I know its supposed to be warmer, but we all know that we can’t rely on British weather and you’re bound to need some extra layers every now and then. 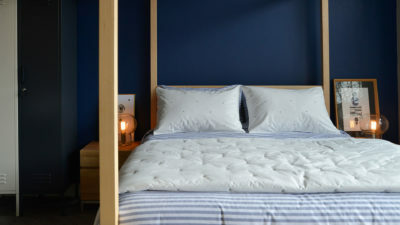 The new Quilted Bedspreads with matching pillowcases in Marine Blue or White add a thick extra layer on top of your duvet. 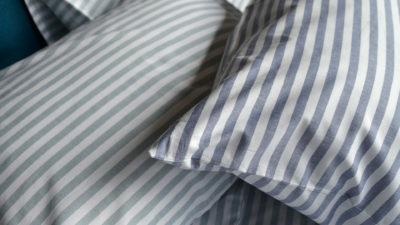 Alternatively, they can be used on their own when the weather does eventually heat up! 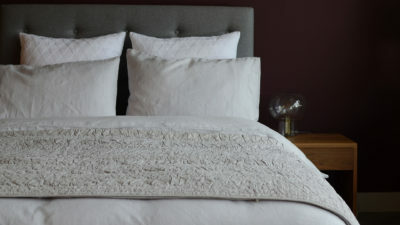 They also include an embroidered detailing to create a soft and sumptuous quilted effect. 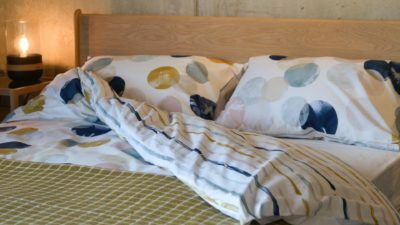 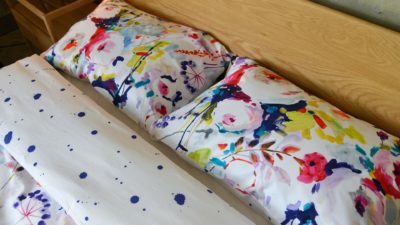 I hope you have found this post helpful when considering changing your bedding for the warmer months. 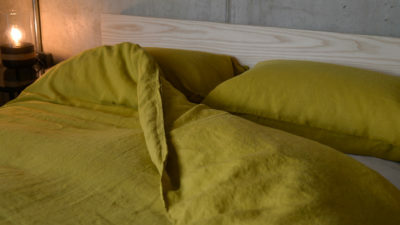 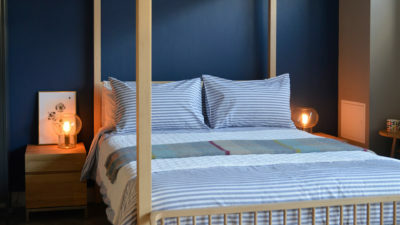 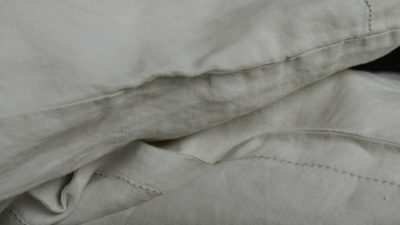 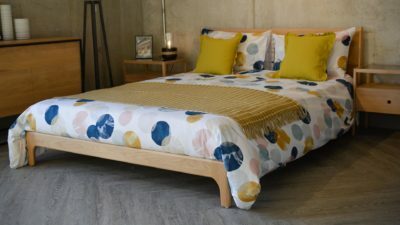 If you want to see more of the bedding we stock, check out the Natural Cotton and Linen Bedding section of our website. 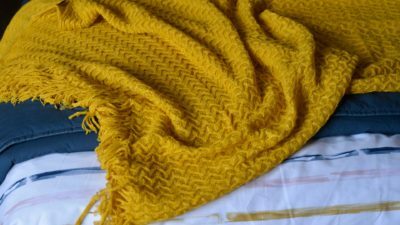 For additional layers see the Bedspreads and Quilts or the Throws and Blankets available on our website!